On Sunday with the help of Joshua I finally put together a command center/landing strip/whatever you want to call it! For some reason I had it in my head that I had to have a spot where I could put a table or dresser of some sorts which is what made choosing a spot for a command center so difficult. Once I started looking at inspiration and wrote down what it is I need/want in a command center I came to the realization that all I needed was some spare wall space. 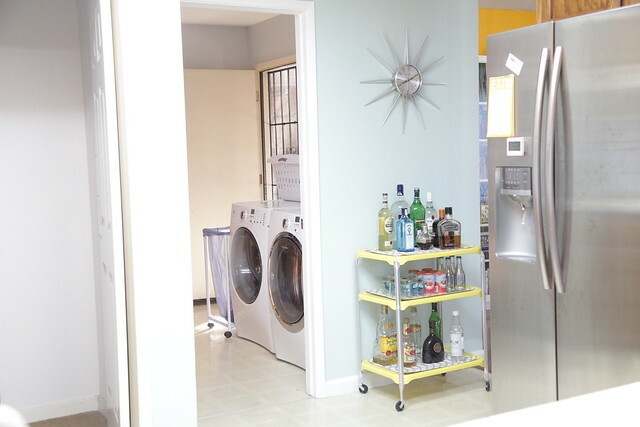 Because Joshua and I come into the house through the garage the command center should either be in the laundry room or kitchen. 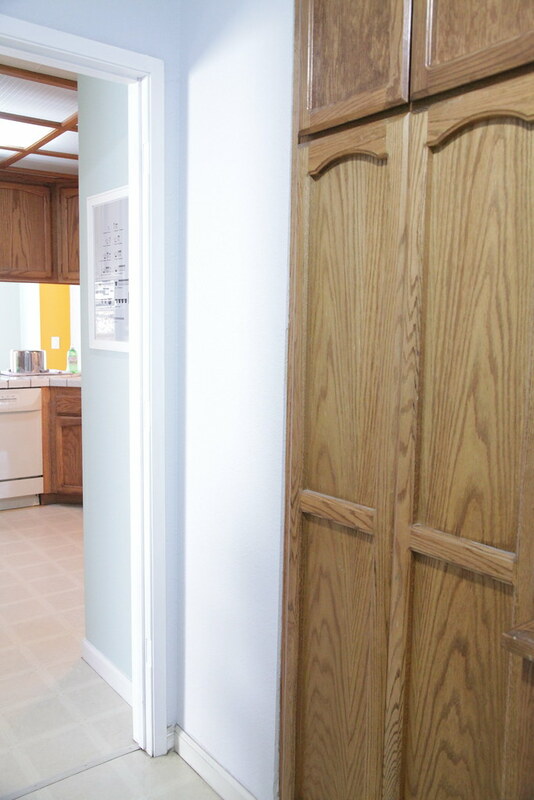 Luckily I had a 20″ wide spare wall to work with in the laundry next to the doorway to the kitchen. It was perfect! My next step was researching what my options to put on the wall. 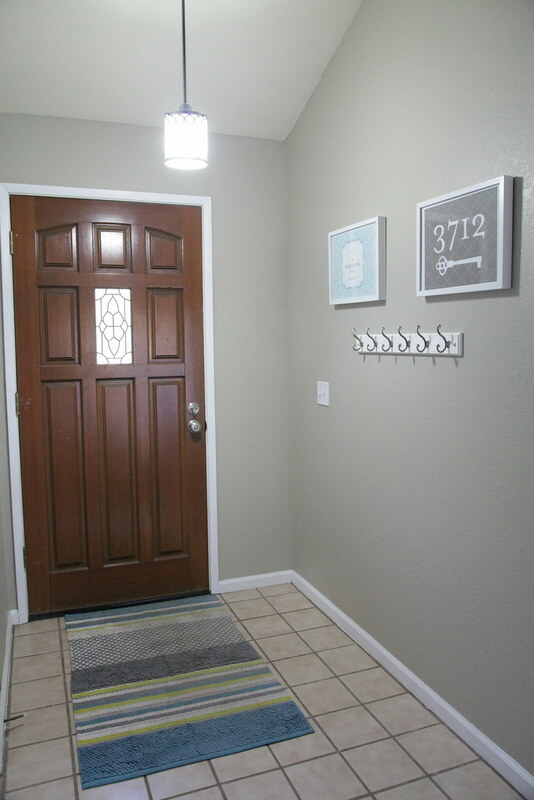 Looking at inspiration I saw that most people at least had a spot for mail, a calendar, and hooks for keys. Most command centers were for families, but since this is a command center for two I didn’t need that much. Last Monday I drove all over town visiting various office supply stores (Office Max, Office Depot, Staples) and retail stores (Target, Walmart, Kmart) to see what I could find along the lines of a holder for mail or any other all-in-one command center type merchandise. The only things I was able to find were either Martha Stewart’s Wall Manager line at Staples or Pottery Barn’s Wall Organizers, both of which were way too expensive for my needs. Luckily after more research online I discovered IKEA had the PERFECT wall rack, and it was very reasonably priced – only $15 whereas Martha Stewart and Pottery Barn were $40+ for what I needed. I picked up a Threshold Key Rail and 2014 Sugar Paper calendar (on clearance – wee!) 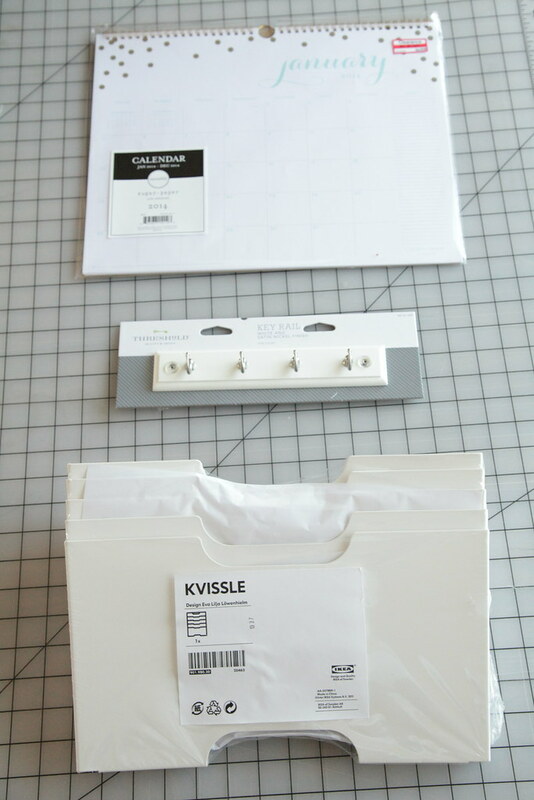 at Target and the IKEA KVISSLE wall magazine rack to make up my command center. After Joshua hung everything up on the wall, I printed out a few labels for the magazine rack which is being used to sort mail: Outbox, Cristina, Joshua, Danielle, and Coupons. So simple, yet practical! I’ve been thinking about our command center or lack of lately. Currently we have a letter tray full of ‘junk’ & keys all over the house. Definitely given me some ideas.